You are here: Home / Health & Parenting / To Use or Not to Use: Which Beauty Regimens are Safe During Pregnancy? From the moment you discover you’re expecting, the worry starts to set in for many new moms. You start thinking about the 2 cups of coffee you had at work yesterday, and the sushi you devoured at lunch last week and the glass of wine you sipped during ladies’ night over the weekend. Of course when you’re pregnant, most women are careful about what they put in their bodies, but we also need to be careful about what we put on our bodies. While many commonly used cosmetics are considered safe, there are some with ingredients that can be harmful to a developing fetus — or a breastfed baby. From hair dyes to nail polish to anti-aging creams, Dr. Melissa Mancuso, interim chair for Akron Children’s Maternal Fetal Medicine Department, discusses the risks and myths surrounding these beauty regimen must-haves. Just remember, stressing out about every little thing you come into contact with can make for a long and taxing 3 trimesters, and beating yourself up about things you did before you knew you were pregnant or before you found out they could be hazardous won’t do you or your baby any good. Knowing what could truly be harmful to your baby and what’s not a real concern is the key to keeping your sanity during these 40 weeks. Retinol, or vitamin A, is the key ingredient in these creams and serums promising younger-looking skin. Vitamin A is an essential nutrient during pregnancy when taken in doses less than 1,000 IUs per day. However, retinol contains higher levels of the nutrient, which has been shown to increase the risk of birth defects. According to the American College of Obstetricians and Gynecologists, because very little dye is absorbed through the skin, dying your hair is “most likely safe” during pregnancy, despite what doctors in years past may have advised. That’s good news for many expectant women – coloring your hair can be a great confidence boost when everything else going on in your body feels so out of your control. Having said that, though, very few studies have closely examined the many different kinds of hair treatments and their potential effects on a fetus. What we do know indicates that hair treatments are most likely safe. 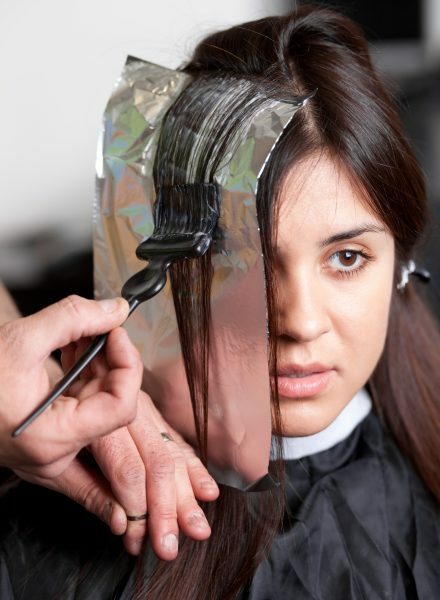 If you’re still concerned, having your hair highlighted (rather than dyed) uses far less chemicals. Also, check with your salon for the ingredients in their products. Although there’s no proof that “tan in a bottle” is harmful to an unborn baby, there haven’t been many studies done on its effect to a fetus. But if you still need a boost during these long winter months, apply some bronzer to your face, neck, shoulders and chest instead. If you decide to try a self-tanner, use it in moderation. It’s much safer than a real tan or tanning beds. Studies that have been done on rats using benzoyl peroxide show no increase in birth defects. However, there’s very little human data that exists. However, watch out for prescription ointments that may contain higher levels of benzoyl peroxide or other harmful ingredients. Accutane and Retin-A, for example, can cause birth defects. Also, be sure to check the ingredients. Dr. Mancuso advises women to avoid acne products that contain salicylic acid, which can be harmful to a developing fetus. There’s no evidence that teeth whitening can harm a fetus. Some dentists say the procedures are safe during pregnancy, while some makers of whitening products caution pregnant women against using them during pregnancy. The concern is primarily about the chemicals used in teeth whitening products that could be swallowed. If you’d rather wait until after pregnancy to make those teeth pearly white, brush daily with whitening toothpaste to give a little extra kick to your smile. Peroxide, the active ingredient in whitening toothpaste, is safe for pregnant women, even if you swallow some while brushing. Most nail polishes today are considered safe to use. In years past, formaldehyde was a key ingredient, which had weak associations between human occupational formaldehyde exposure and miscarriage. Dr. Mancuso advises women to check the ingredients in the nail polish before use and avoid those that contain formaldehyde. However, she admits she’s never seen a nail polish or remover that contains the harmful ingredient. While some things are certainly considered unsafe during pregnancy, try not to spend too much time wondering and worrying. When in doubt, just use common sense. If it seems like a bad idea, doesn’t need to be done right now, or might be risky, hold off at least until you’ve had a conversation with your doctor about it. He can likely help ease your mind and may even give you license to do something you never expected to be able to do until after your special delivery. Above all, make sure to follow the most important healthy pregnancy habits — eat right; get plenty of rest; and steer clear of drugs, alcohol, and tobacco – and you’ll be well on your way to keeping both you and your baby healthy.